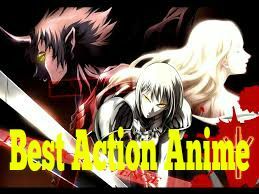 The action anime genre is quite broad and I have gathered a list of the best action anime for you to enjoy. Keep in mind the list is in no particular order. Several hundred years ago, humans were nearly exterminated by giants. Giants are typically several stories tall, seem to have no intelligence, devour human beings and, worst of all, seem to do it for the pleasure rather than as a food source. A small percentage of humanity survived by enclosing themselves in a city protected by extremely high walls, even taller than the biggest of giants. Flash forward to the present and the city has not seen a giant in over 100 years. 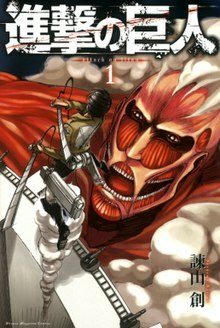 Teenage boy Eren and his foster sister Mikasa witness something horrific as the city walls are destroyed by a super giant that appears out of thin air. As the smaller giants flood the city, the two kids watch in horror as their mother is eaten alive. Eren vows that he will murder every single giant and take revenge for all of mankind. Ten years after the Bubble War, the dichotomy between the rich and the poor in the world becomes more prominent and Japan is no exception. The rich seeks to satisfy their desires and derive pleasure for themselves, and Tokyo has materialise into such a city as a result. Saiga, once a war photographer, works for Hibara Ginza in the capitalist state of Tokyo. He infiltrates into Roppongi Club, a secretive base located in the red district area of the city, to collect information about them. However, he was caught in the process and brought forward to a girl called Kagura who was in the midst of a ritual. His contact with Kagura awakens his special ability: the power to make things explode once photographed. In order to unravel the mystery behind the Roppongi Club and Kagura, Saiga begins his solitary battle. Tatsumi is a self-acknowledge country bumpkin who is nonetheless a well trained fighter. He and two companions leave their remote village to head to the Imperial City to find a way to relieve their friends and family from ruinous taxation imposed by the authorities. Yet the Imperial City is filled with unimaginable amounts of corruption and evil from supernatural sources. 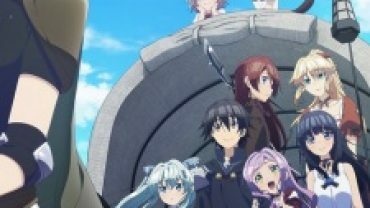 Tatsumi is immediately swindled after reaching the City and nearly loses everything soon after, but finds himself allied with an unlikely group of assassins. Shirou Emiya lost his parents in a fire when he was young and was later adopted by a sorceror by the name of Kiritsugu Emiya. Although he was full of admiration for his adopted father and yearns to become an ally of justice, Shirou has limited powers and was unable to become a strong sorceror like his father. That is until one fateful day, he was drawn into the Holy Grail War and had to summon a female “Servant” known as Saber in order to protect himself. It turns out that the Holy Grail War involves a series of battles among powerful sorcerors to fight for the possession of a relic that will grant one’s wishes, the Holy Grail. There are altogether seven “Masters” who can summon their respective “Servants” from different classes known as Saber, Archer, Rider, Berserker, Lancer, Caster and Assasin. These “Servants” have to hide their names in order not to reveal their weaknesses to the enemies. 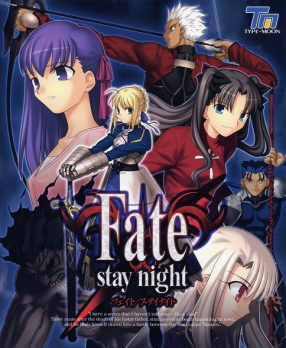 The story revolves around Shirou and his entanglement in the Holy Grail War. What, no Death Note or Code Geass? 😉 Great list Seet. What are you talking about? Death no has NO action in it at all. There are literally no fights. It’s not an action anime!!! I had a feeling they would do that, which I agree with you. wow , this is amazing . my love attack no titan .